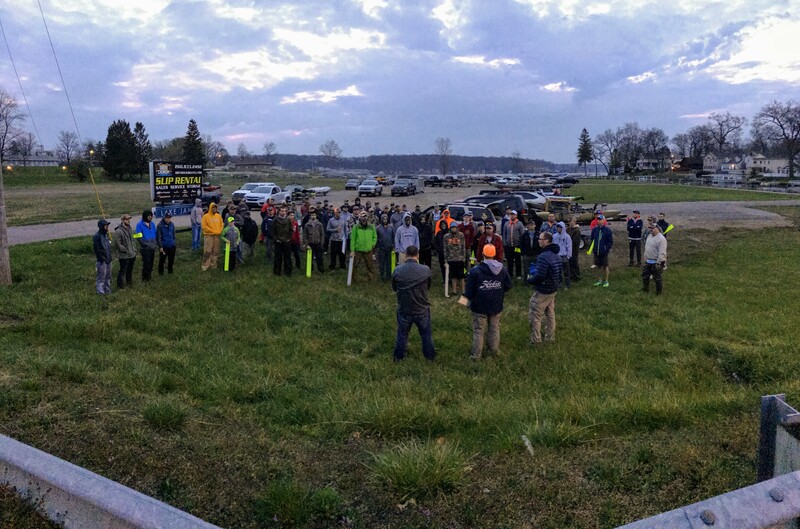 On April 15, the Indiana Kayak Anglers 2017 Sun Valley Sports Tournament Series started the year off in dramatic fashion with a record-breaking turnout on the Lake James chain in Northeast Indiana. 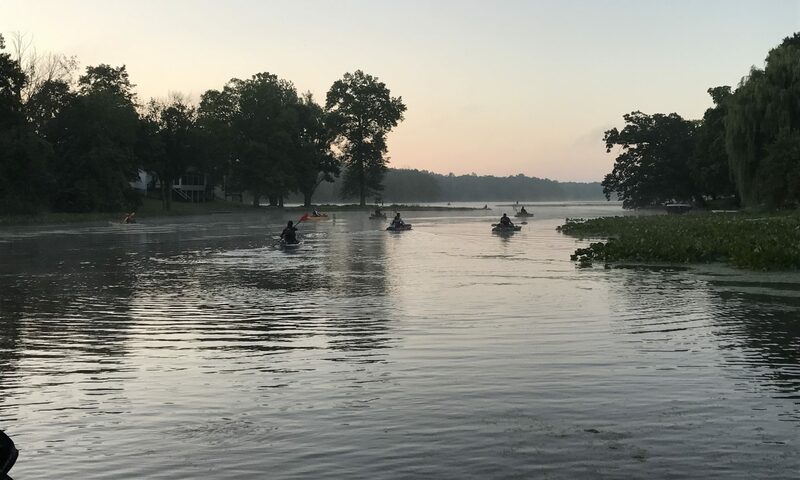 Despite predicted winds in excess of 20 mph, 71 anglers showed up to take on the bass and the conditions on Lake James, Jimmerson Lake, Snow Lake, Big Otter Lake, Little Otter Lake, and Marsh Lake. The bluebird skies and strong winds made the fishing tough for most of the day for many of the anglers with only 23 anglers finding their 3 fish limit and 30 anglers failing to score a single fish. In the end, the victory went to Eric Stansberry of Lafayette with a total of 44 inches, including a 19.75 inch largemouth that took big bass honors. For his effort, Eric turned his $40 entry fee into $1000 for first place plus the $355 big bass pot as well as a $50 gift card from Sun Valley Sports. Eric battled the winds on Snow and Big Otter catching his winning limit with Keitech swimbaits and KVD jerkbaits. In second place was Mike Densel of Fort Wayne who caught his limit in the last few hours of the tournament on Lake James using crankbaits in 10-15 foot of water. 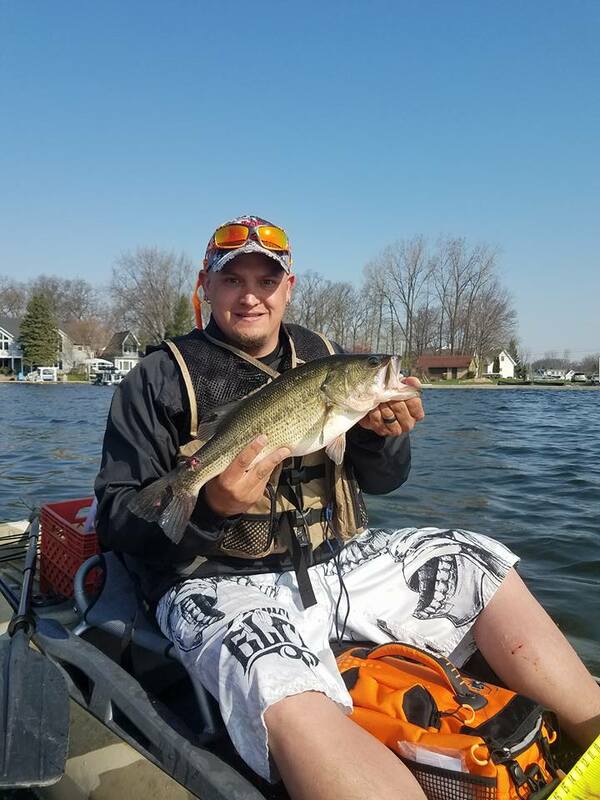 He spent most of his morning fishing soft plastics on Jimmerson with little luck, but successfully pivoted his plan to take home $490 cash as well as a $50 Sun Valley Sports gift card for being the top finishing angler in a Hobie kayak. Third place went to Jaxton Orr, a 14 year old angler from the Fort Wayne area fishing in his first season out of a kayak. Jaxton got out to a hot start on Marsh Lake, catching his first two fish in the first hour of the event and rounding out his limit before 10:00 AM. Jaxton’s green pumpkin Chatterbait netted him $375 cash. Overall, $2580 in cash and prizes were distributed to anglers at the event, representing 100% payback thanks to the sponsorship from Sun Valley Sports. Full results can be found here. The next event in the series is May 13 on Morse Reservoir in Noblesville. Anglers can find out more information about the event at indianakayakanglers.com or on Facebook at www.facebook.com/IndianaKayakAnglers.  In each episode, we'll discuss news and events regarding the Indiana Kayak Anglers series or kayak fishing in general. We'll have interviews with anglers from the series to let you get to know them better.